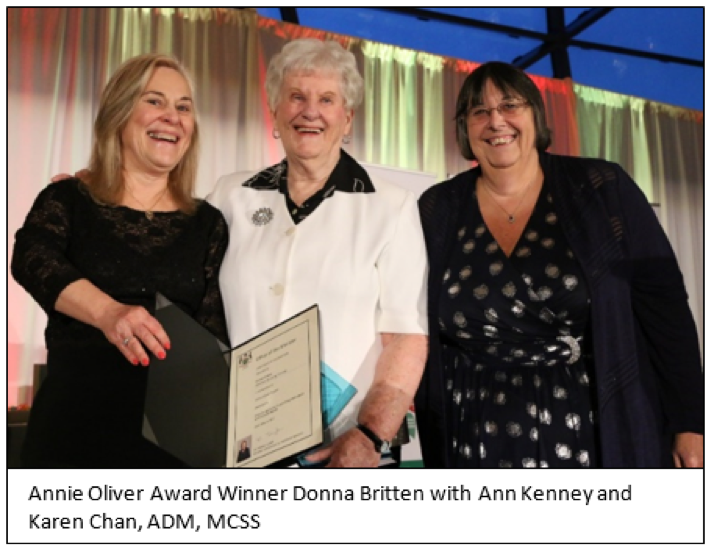 This year’s winner of the Annie Oliver Award is Donna Britten. For more than 40 years, Donna has been an active member of Community Living Toronto. Donna has fought for inclusive education opportunities not only for her son David but children everywhere. Her belief in the importance of family connection is evident in her role as a founding member of strongly family oriented groups such as Extend-a-Family and Pilot Parents (now FamilyLink). Donna was also a key advocate for Project 81—an innovative program that created residential and day services in Scarborough for adults with complex intellectual and physical needs.